The decision to receive in-home care can be one of the best choices to make to ensure the highest quality of life for you or a loved one. It allows the individual to remain living comfortably in their own home, while receiving the care that they need. While in-home care is a perfect solution for many seniors and those who need assistance with activities of daily living, beginning the process can be quite overwhelming. The uncertainty of a new situation can create some nerves for both you and your loved one. However, the most important aspect about beginning in-home care is a smooth transition. The following information gives some insight to what to expect the first day of care. At Ally Independence, the relationship begins before the first day of care. Upon requesting an assessment for care, our Chief Care Administrator will meet with you and your loved one to perform a safety and needs assessment, speak with you about the goals of care, and work with you to create a personalized Care Plan. 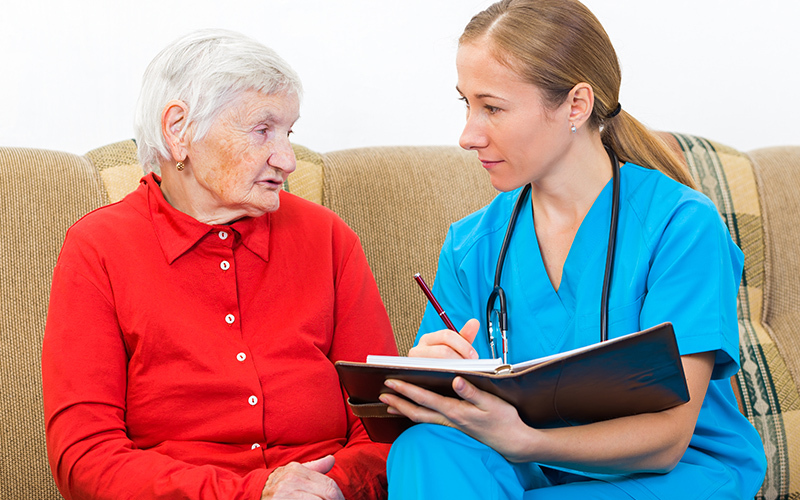 After the Care Plan is finalized, care with your CNA caregiver will begin. At the beginning of the care shift, the Chief Care Administrator will introduce your caregiver to you. This introduction will help to reduce anxiety, as the Chief Care Administrator is a familiar face; an individual who has been a partner in creating your Care Plan. After the introduction and review of the Care Plan, the Chief Care Administrator will leave you and your caregiver to proceed with the day. During the first day of care, you can expect a lot of questions from your caregiver. These questions indicate a high level of dedication, as they are learning about you or your loved one, and how to best meet your individualized needs. Your caregiver may also request a tour of your home, if you are able to provide one. This guarantees that they become familiar with the home and the items that are needed for your care. The first day of care is not only about providing high quality care, but it is also about establishing a bond and connection with your caregiver. Once your care has come to an end for the day, and the caregiver has left, you can expect a call from the Chief Care Administrator. This phone call is to review the day from your or your loved one’s point of view. If there are any concerns, suggestions, needs, etc., this phone call is the perfect opportunity to address them with the Chief Care Administrator. We work to ensure that you receive nothing but the best possible care from the very first day of care! It is okay, and completely normal, to experience some anxiety prior to your first day of care. Our caregivers genuinely care about your well being and providing you the best possible care. Communicate with your caregiver or the Chief Care Administrator if you are uncertain of something, need anything, or have a question. At Ally Independence, we are here to provide customized care and assistance that will keep you or a loved one living at home, independently! Your first day of in-home care with Ally Independence is only the beginning of an exceptional level of professional, personalized care that will allow you or a loved one to age with grace and dignity.